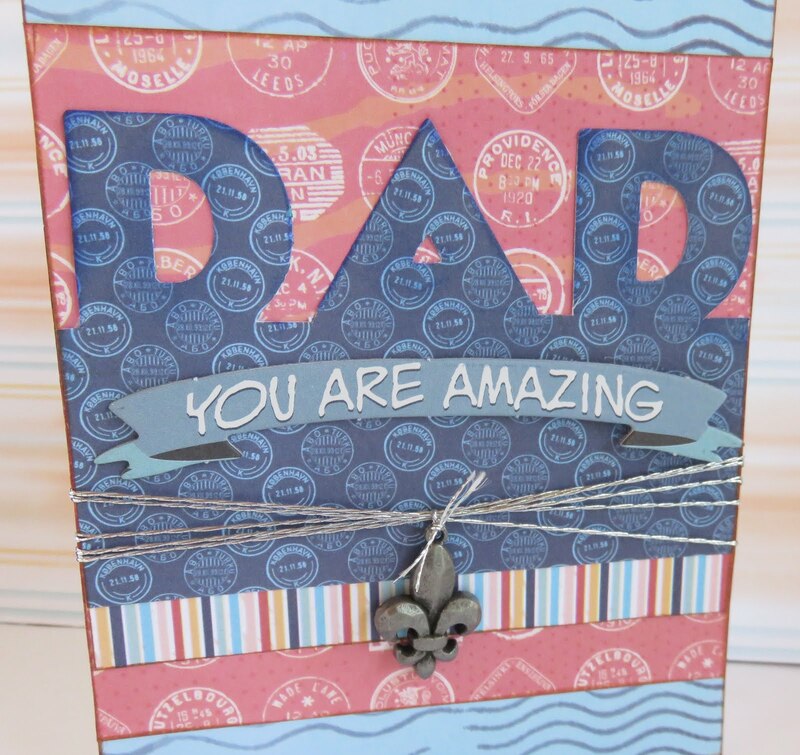 Blog Quick Quotes: Father's Day Inspiration with June! Father's Day Inspiration with June! Hello Quick Quotes fans! June here today to host the blog for you. With Father's Day coming this Sunday, I thought I'd share the card I made for my husband. It features the "Far and Away" collection and partial die cutting technique. Start with a 3 x 4.5 inch FAR and AWAY 105 (navy). 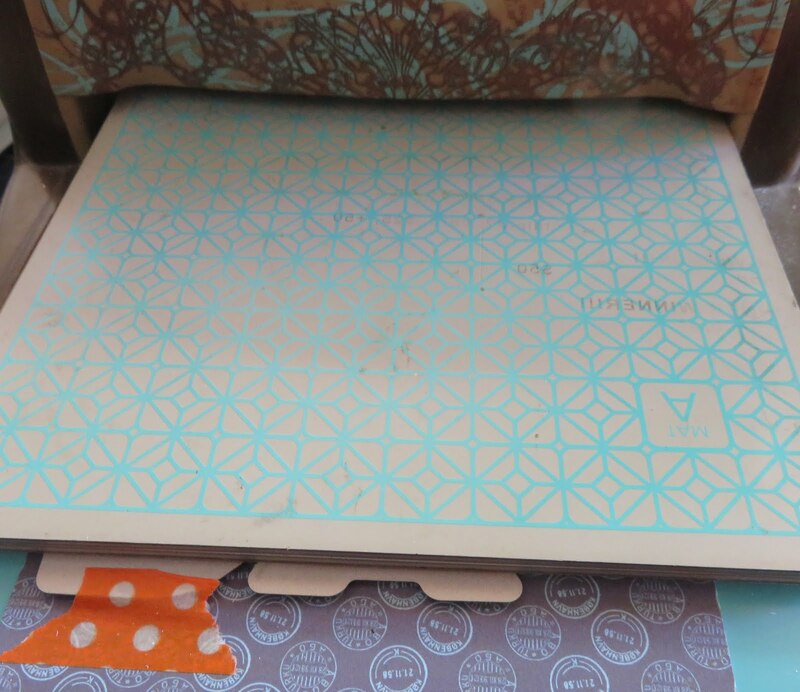 Washi tape die cut letters near the top. Place a cutting plate on top of letters, leaving the bottom edge of the letters showing. 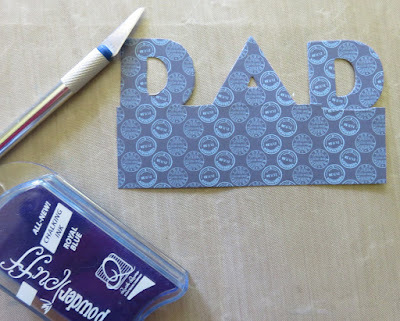 Use a craft knife to cut between the letter and edge with Royal Blue PowderPuff Chalking Ink. Adhere Dad panel to a 4.25 x 4.25 inch FAR and AWAY 101 (red). Edge with Kokomo PowderPuff Chalking Ink. Add 0.25 x 4.25 inch strip of stripes from FAR and AWAY 105. Edge with Kokomo PowderPuff Chalking Ink. Wrap silver thread around the card. Adhere to 4.25 x 5.5 inch of AWAY 102 (blue wave). Add to card base. Edge with Kokomo PowderPuff Chalking Ink. 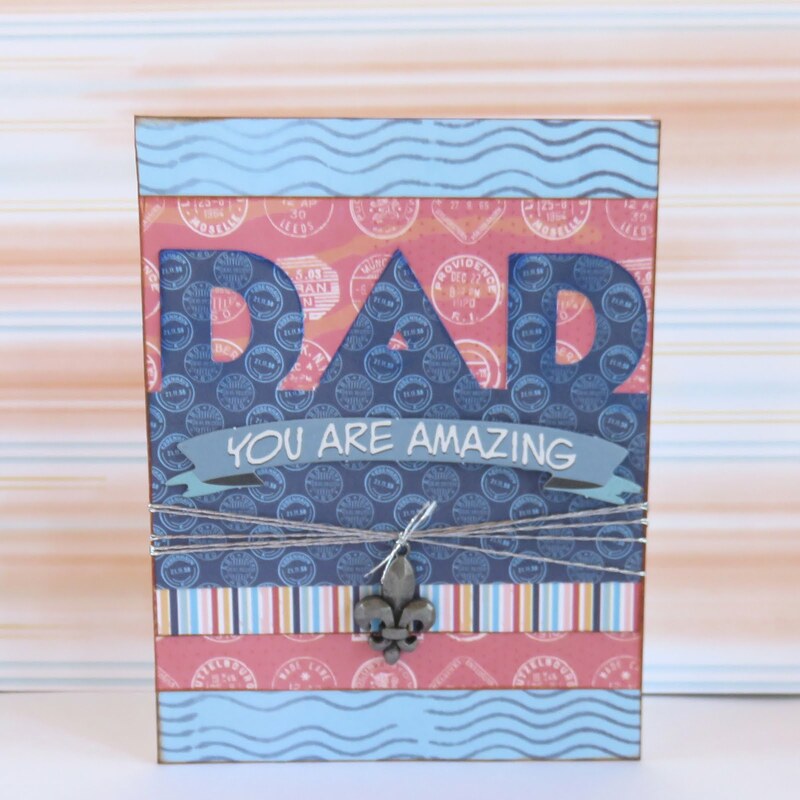 Add Earth Wind Fire chipboard quote and tie on charm. 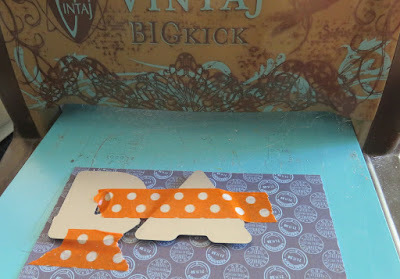 I really like how you can customize your cards using this partial die cutting technique. 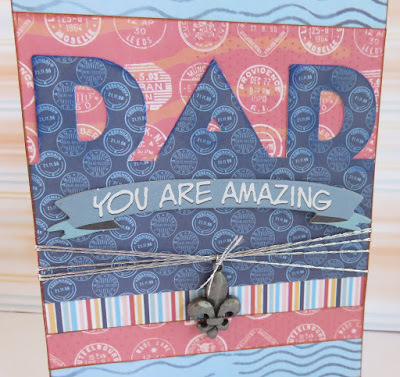 Instead of "Dad" you could use someone's name or cut the word "Happy" and make a card for a variety of occasions.